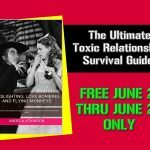 Related – Take the Test: Are you involved with a toxic narcissist? 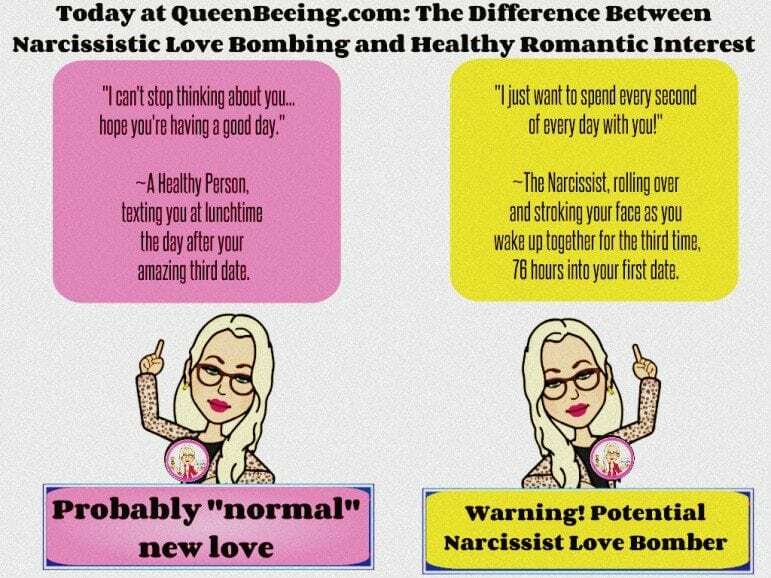 There are subtle differences between a love bombing narcissist and a healthy romantic interest. Here is what they are. A narcissist will almost always proclaim love or soulmate status very early in the relationship, and this will almost always lead to insta-commitment on his/her part. “I can’t stop thinking about you…hope you’re having a good day.” ~A Healthy Person, texting you at lunchtime the day after you had an amazing third date. A healthy relationship encourages you to stay involve with your real life. A narcissist demands every moment. A narcissist will want you to become dependent on him because this will allow him to become dependent on YOU – as his regular source of narcissistic supply. A “healthy” person MIGHT want to spend every moment with you, but will understand and support your need to continue with your regular life while you get to know one another – even if it means he tags along for your family events and on outings with your friends sometimes. It does NOT require you to stop living your own life – that’s a red flag of narcissistic behavior. 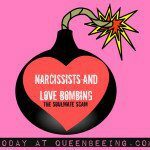 When you’re dealing with a narcissist, there are lots of red flag signs early in the relationship – and one of them is often a drama factor. Narcissists often shock you early in the relationship with some strangely placed little outburst or fit – and one that’ll quickly be righted and for which he/she will often apologize. A narcissist will create drama where it does not need to be and will break down over tiny issues. If you’re in an early relationship with a narcissist, there are little subtle things that will happen in your conversations that can tip you off if you watch for them. Simple patterns that will be evident if you know what to notice. One of the biggest is how empathetic the narcissist is capable of being. Watch what happens when someone in your or the narc’s life experiences pain or tragedy in their lives – see how the narcissist behaves. You can tell when someone is genuinely concerned versus when someone’s sort of “being polite,” right? 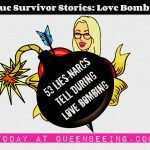 A narc can be a really good actor, and he might even be really good at follow up questions when he’s in the love bombing phase. 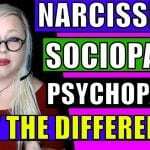 But when things are “back to normal,” a narc will change the subject if the topic varies from something that interests him – often rudely or by creating a big scene to get the attention back on himself. The narcissist is a great actor. This is especially true during the love bombing phase. If you’re the one dealing with the trouble, a healthy person who’s “really into you” will show genuine concern when someone you care about is hurt or goes through hard times, and he/she will never make the pain or tragedy ABOUT THEM at all. Instead, they’ll stand by you in whatever way is appropriate at that phase in your relationship – whether that means stepping back to allow you time to deal with the issue or to grieve with your family, or it means to literally stand by you while you go through it. If your love interest is the one dealing with the trouble, he will be concerned as much as you might be about a similar situation, and he will want you to stand by him in whatever way is appropriate at that level in your relationship – while a narc will want you to feel sorry for him/her while you baby and spoil him/her to help end the pain (whether it’s their personal pain or not). It’ll be all about the narc, not the person actually experiencing the issue. Okay, so what are the best ways to narc-proof your future love life? To avoid getting involved with a narcissist in the future, take your time getting to know a new romantic interest - go slow. 2. You have to STAY CONNECTED to other people! In order to keep your life in balance and protect yourself from getting enmeshed with another narcissistic abuser, you really need to be careful to still actively cultivate relationships with a variety of people in your life, even and especially when you’re in the beginning phases of new relationships and friendships. Promise yourself that you’ll have regular contact with the other important people in your life, even if you need to schedule it. Schedule regular contact with your friends and family to avoid getting sucked in by another narcissist. Get yourself connected to a good support network and stick with them – and consider having a recovery buddy who will check in with you on a regular basis and help you remember to remain connected to your network of support and love – this will help to ensure that you don’t inadvertently fall into your old patterns. This can happen before we realize it! Remember when you got involved with your narcissist and you felt a little “off” but you couldn’t quite put your finger on it? Or maybe you never felt quite comfortable in the relationship, like you might lose it at any moment? Maybe you lived in fear of being alone or of falling flat without him/her. It doesn't matter how exciting and amazing someone seems at first - you have to listen to your heart and your gut if you're going to stay safe. If something doesn’t feel right, there is a reason! If you’re not sure, go back to #1 – just take your time. There’s really no reason you need to rush, right? If it’s truly a healthy and mutually good relationship and the person you’ve been waiting for all of your life, time will be of no concern – just take your time getting to know each other and enjoy the process. It can be deliciously satisfying. If you take your time and you have found your One - time is never an issue. Always know the person you are loving. What do you think? What would you add? Share your thoughts in the comments. So glad this was helpful for you, CC! My biggest regret when thinking about my ex – I didn’t take enough time to get to know him. Second biggest regret, that I didn’t kick him out the first time he acted out on me. There can be no second chances with these guys – it only gets worse! Other signs I chose to ignore – he wanted to change everything. I had 2 kids who really liked him at first, but he wanted to change our diets, complained of too much clutter and wanted to throw away our stuff and he did – he threw away the plaster cast of my son’s 5 yr old handprint he’d given me for Mother’s day- because it was dirty! That was something irreplaceable! When I got upset, he told me I was too old-fashioned & sentimental rather than “I’m so sorry” – or before that, put it away in a drawer & ask me to clean it or just wash it!!! This was in 1989. Today he’d get the boot real quick! I’ve been tangled in this mess all too well but as someone with an anxious style of attachment (who is a love addict), it’s extremely hard to realize what you are dealing with. Being someone with an insecure codependent anxious style of attachment, I crave love and connection with someone and I love very easily and fast but in a sincere way. I attract narcissistic men like crazy. Because I want to be loved, they can easily mirror my desires to their benefit to secure me as supply. However, it never ever gets easy in picking up on if someone just has an anxious style of attachment as well or if they are actual narcs/sociopaths/psychopaths. I’m currently dealing with someone now that declared their love for me within a month of talking online and we haven’t met yet. Naturally, I’m cautious and immediately voiced my concern. He has backed off somewhat but still wants to continue with me. 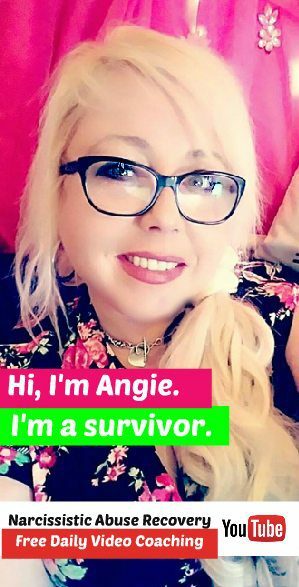 I’ve already seen what appears to be possible narcissistic red flags. 1. Tons of female friends on social media 2. Tons of praise from females in general. 3. Exes that are still friends. 4. Wanting to move in already. 5. Future plans. 6. A lot of exes in general. 7. Mention that all his exes do is cause drama for him or are not over him. I have my guard up. I know this could possibly be a game but still unsure at this time. So, if I do confirm that he is coming from a manipulative place, I know exactly what to do (devalue him first and go completely NC) before he does it to me!